I have listened to women talk about their reasons for running and I find their varied responses interesting to talk about and reflect upon. Ranging from “Running makes me feel fitter and stronger” to “I can spend time alone with my thoughts” or, perhaps, “It’s precious time when others aren’t making demands on me”. They all resonate with me in some form or another. For me, my reason to run is a little more complex. A year ago, in 2017, I was severely ill with Sepsis and nearly died whilst fighting it. 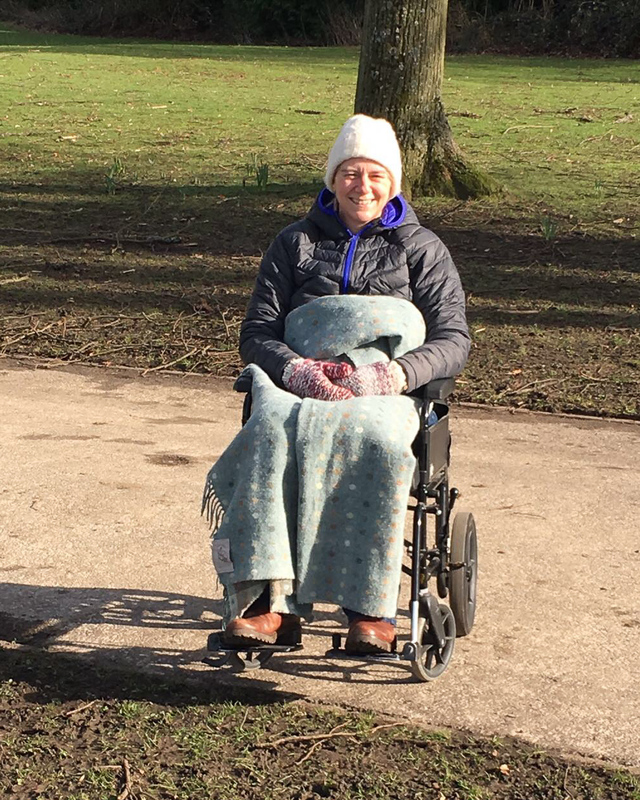 When I was discharged from hospital, with residual effects after a post-op heart attack, I needed a wheelchair to get out and about. I had no energy and felt extremely breathless when I walked so I couldn’t get out in the sunshine. It was spring time and the daffodils were beginning to show their faces. It devastated me that I couldn’t take my little dog out for a walk in the sun. My recovery was slow, but I had an idea of where I wanted to get to. I had run in the past and I knew the benefits and how strong it made me feel. Due to arthritis in my right hip I needed a hip replacement so in 2016 I took a year off from running and worked on my mind-set instead. I was just getting back on my feet when I was knocked back with Sepsis. This didn’t stop me. I was going on another adventure and I didn’t know where it would lead me. I have a developed a resilient personality with many knocks over the years and when I set my mind to things, I tend to reach my goal. I manage my expectations so that the things I strive for aren’t completely unachievable thereby putting me off from starting something new. I felt that running a 10K in the summer of 2018 would be ok for me so that was where I set my sights. I started going out for short, very slow runs in November and gradually lengthened the time I was out on my feet. It was tough. I wanted to go further but I was completely exhausted. Weekly Park Runs became my regular Saturday event and I had many conversations with myself about my timings and lack of speed. Yes, I was very slow and that didn’t make me feel good. However, I seemed to have the ability to keep going and that was my strength so half marathon and eventually marathon distance quickly became the new goal. Over the next few months, I ran three times a week and joined the fantastic Run Harpenden group with Andy. 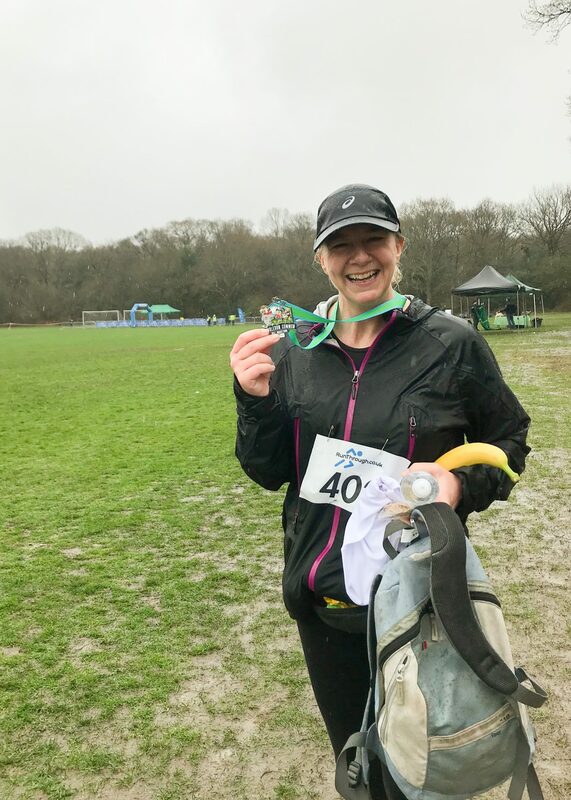 I loved the warm and encouraging approach from coaches Andy and Graham and the women in the group inspired me to run faster and harder than I had for a long time. Running with a group of people who are there for lots of different reasons is such a life-affirming activity and I have really enjoyed my sessions. Andy is always very supportive and patient and answers any queries put to him, however silly they may seem at the time. This has helped to increase confidence in my ability. I gently increased my weekly mileage and decided, on a whim, (four days before!) 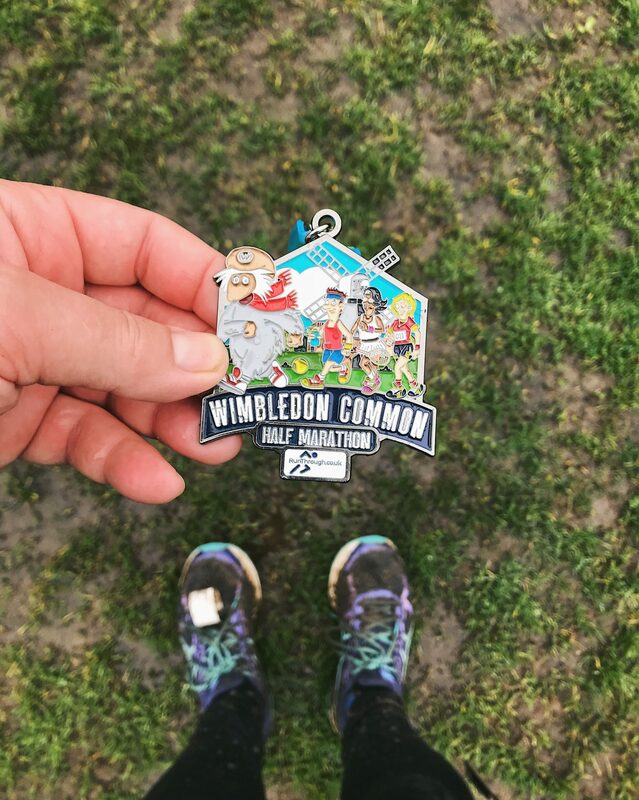 to sign up for the Wimbledon Half Marathon which I did in April 2018. Sometimes we over-think our decisions, and this proved to me, and others around me, that we can do it if we decide to put the training in and tell ourselves that we can do it. If I was to give other women some advice it would be this. Take it very slowly. I know that running slowly can make you feel a little self-conscious. Perhaps you don’t feel like an athlete or one of those beautiful, lithe runners who speed past you at the Park Run, but you are a runner and a mile is still a mile no matter how fast you run it. The confidence it gives you knowing that you can do it is life-changing. The feeling of sinking into a warm bath with lots of lovely bath salts and aromatherapy oils after a long run, is wonderful. Knowing that others are thinking about putting their trainers on because you inspired them feels amazing. So give it a go. You won’t regret it. ”So give it a go. You won’t regret it.